In April, 11 new iPhone new models were approved by Eurasian Economic Commission (EEC). Today, the same body has certified several new Apple devices. The newly spotted devices are not iPhone models, but upcoming iPads, Macbooks and iMac models. The new iPad models that have been approved by EEC include A1876, A1935, A1979, A2013 and A2014. These devices are running on iOS 11. Probably, at least two of these could be the two variants of the upcoming Apple iPad Pro 2018 models which may be named as iPad Pro 3. A recent report has revealed that the Cupertino based company is working on a new iPad that will include advanced features like Face ID and Animojis that were first introduced on the iPhone X. There is no confirmation on whether the forthcoming iPad Pro will be arriving with a notched screen design. The MacBook and iMac models that have been spotted EEC are A1931, A1932, A1988, A1989 and A1990. These are powered by macOS 10.13. 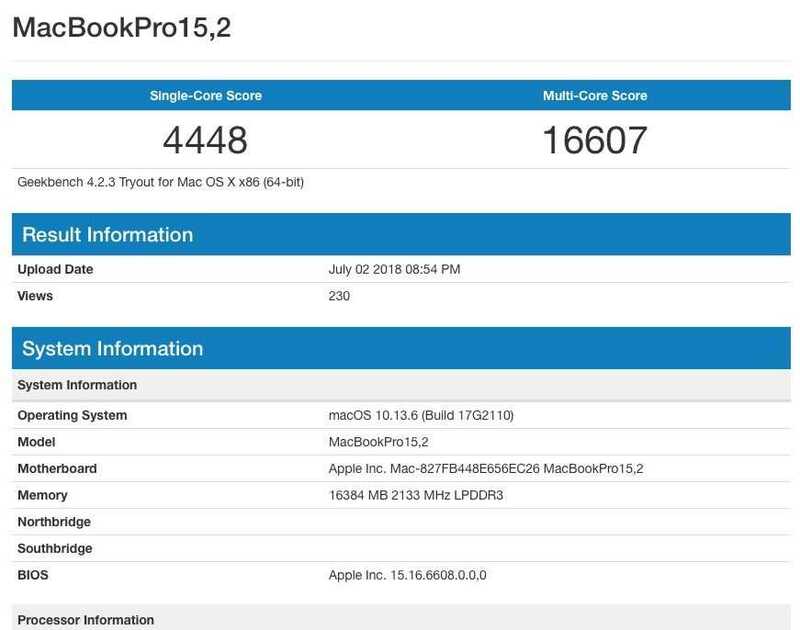 A new MacBook Pro model dubbed as “MacBookPro15,2” featuring Intel Core I7-8559U Coffee Lake CPU and 16 GB of RAM has recently surfaced on Geekbench. There is a possibility that the Apple devices that have been certified by EEC may include the mysterious MacBook Pro that was spotted on the benchmarking site. The appearance of these devices on EEC hint that their launch could be drawing near. The reason behind it is that before Apple had announced the 6th gen iPad in March, its Wi-Fi and LTE models were approved by EEC in February. The identity of the Apple iPhone models such as A1920, A1921, A1984, A2097, A2098, A2099, A2101, A2103, A2104, A2105, and A2106 that were approved Apple in April are yet to be confirmed. It is likely that these may include the upcoming 2018 iPhones that are slated to debut through a launch event in September. Probably, the same launch event could serve as a platform for the arrival of the upcoming Face ID enabled iPad Pro. The MacBook Pro series were last updated in October 2016 when the company had released the Touch ID and Touch Bar enabled MacBook Pro. Hence, the “MacBookPro15,2” could be announced in October this year.